The Stagg SML3/8P8PE is a 3m Mono Jack to Mono Jack 8 Way Loom Cable. 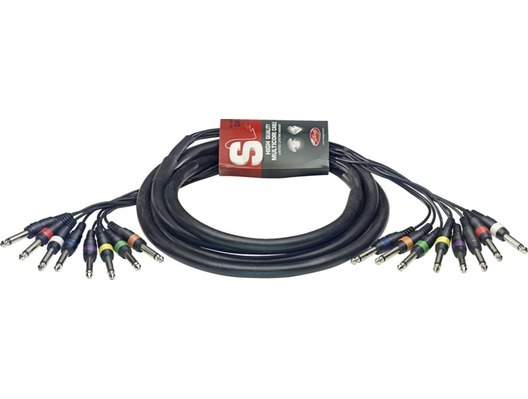 If you are in need of a audio cable suitable for studio applications you can't go wrong with the Stagg SML3/8P8PE. Stagg Cables are renowned for their durability and reliability and this cable is no different. It has useful colour coded jacks as well as an ultra low impedance copper core, hum cancelling braided shielding and a high-quality insulated conductor. It is a great value, reliable loom.